Be sure to visit our online store to purchase Christmas gifts (and perhaps a few for yourself). We typically ship the next day after your order is received, so there is still time to get your order in before Christmas. 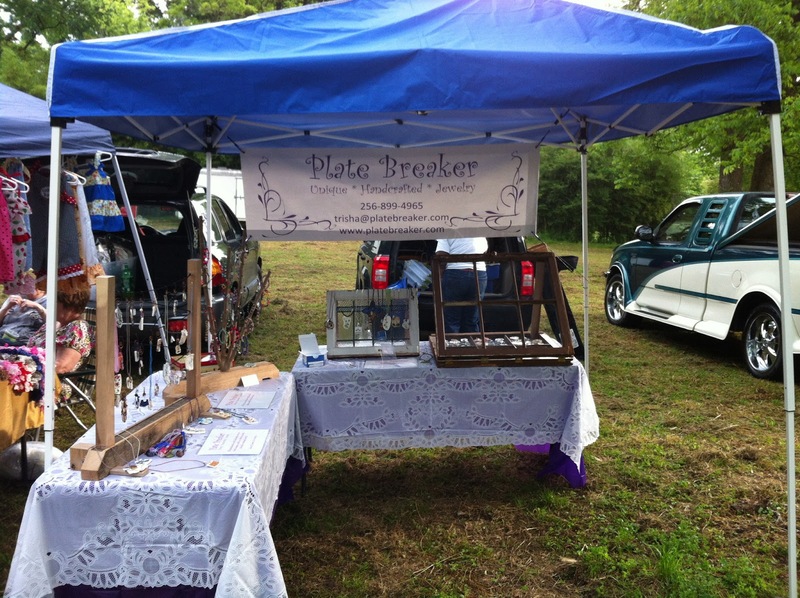 As always, let us know if you have any questions by emailing trisha@platebreaker.com. This is the last day of the Northeast Alabama Craftmen's Association Christmas Show in Huntsville. The show, located at the Von Braun Center, is open from noon until 5 pm today. This is our last show of the year, so be sure to come over to visit. 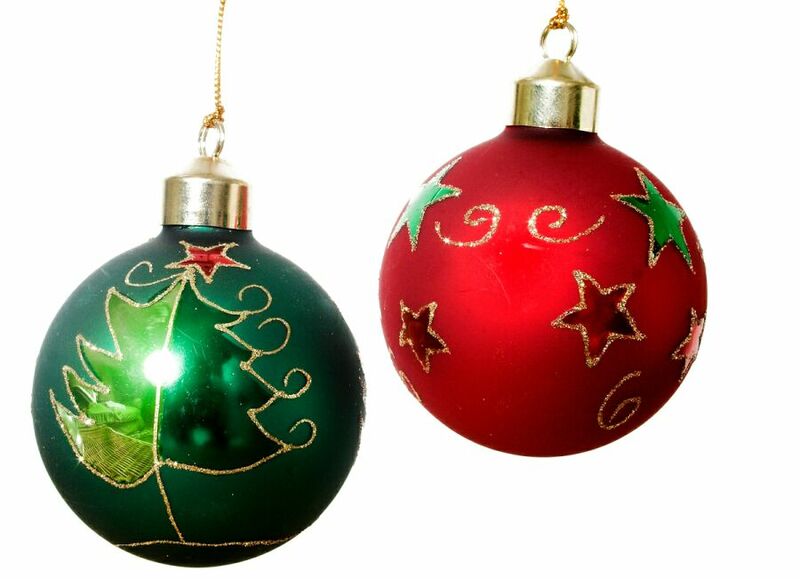 The Northeast Alabama Craftmen's Association Christmas Show continues today in Huntsville. The show, located at the Von Braun Center, is open from 9 am until 7 pm today. Be sure to stop by to shop for some great Christmas gifts. Visit Us At Northeast Alabama Craftmen's Association in Huntsville Today. Plate Breaker Jewelry is at the Northeast Alabama Craftmen's Association Christmas Show today in Huntsville. The show, located at the Von Braun Center, is open from 9 am until 7 pm today. Admission is free so come out and visit! Northeast Alabama Craftmens' Association This Weekend! This is our last show this year so be sure to come over and do some Christmas shopping. Trisha will be at the Northeast Alabama Community College Holiday Shopping Fair on Thursday, December 5. The fair will take place in the Student Center from 9:00 am until 1:00 pm. Please drop in to visit if you are in the area. Tired From All the Black Friday Madness? Shop Here Instead! Black Friday is almost over. Perhaps you stood in line for that must-have toy or electronics? Isn't it time to do something nice for yourself? Kick back, make a cup of hot cocoa, and check out the great designs in our online store. There are plenty of great items for you and those on your shopping list. 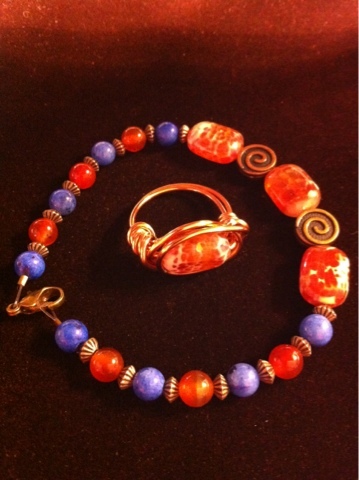 Plate Breaker Jewelry will be at the NACC Holiday Shopping Fair on Thursday, December 5 from 9:00 am until 1:00 pm. The fair will be located in the student center on the NACC campus. For more information, contact Trisha. Be sure to come out Saturday to Robertson Chapel United Methodist Church in Rainsville, Alabama for their annual Christmas Bazaar. The show will run from 9 am until 3 pm. Plate Breaker Jewelry now has a limited supply of broken plate earrings. These earrings are made from small pieces of broken plates and are smoothed with a diamond bit. The findings are hypo-allergenic, nickel-free. We have posted a couple of these to the online store, but more will be available at upcoming shows. Now that we have the Online Store in good shape we have been able to post several new items, including cracked marble necklaces. These make great stocking stuffers, so be sure to check them out. We just received notification that Plate Breaker Jewelry has been accepted to exhibit at the Northeast Alabama Craftmen's Association Christmas Show, to be held at the Von Braun Center Exhibit Hall on December 6, 7 and 8. Be sure to come out to this show and look us up. We are building inventory so that we will have lots of great items to help you to fulfill your Christmas list. Check out the Upcoming Shows page on this site for more information. The new Plate Breaker online store is up and running! Be sure to check it out! Just click on Purchase Online at the top of each page on this site. Watch for the launch of our new online store coming very soon! We are excited to be working with Square to move our online sales to our own site, while managing inventory across online, store, and show sales. Checkout will be provided through Square, our credit card processor. Keep an eye on www.platebreaker.com to be the first to order from the site! We are gearing up for Mentone's Colorfest this weekend. 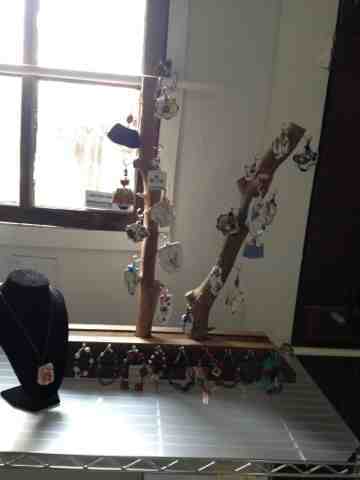 The stock of earrings, rings, bracelets and necklaces have been replenished. Be sure to come out to visit! So check these out at Mentone's Colorfest this weekend or contact Trisha to purchase. 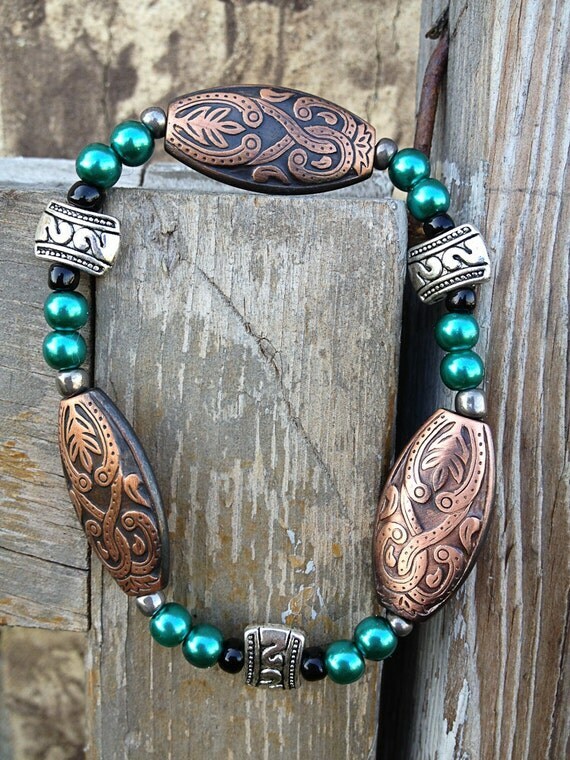 Plate Breaker Jewelry will be at ValleyFest in Huntsville on Saturday from 11 am until 6:00 pm. ValleyFest takes place at Jones Farm Park in south Huntsville. 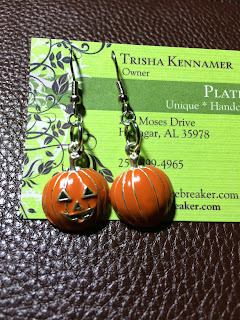 Be sure to come out and see new Halloween and Christmas designs, as well as our new earring line. Hope to see you there. 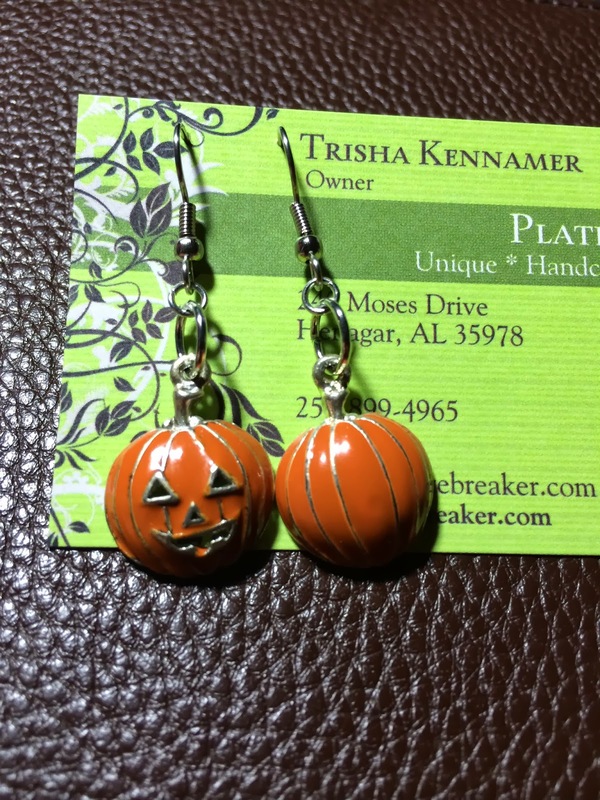 Plate Breaker Jewelry will be in Boaz, Alabama for the annual harvest festival on Friday and Saturday, October 4-5. Look for us in booth 132 near the First Bank of Boaz. 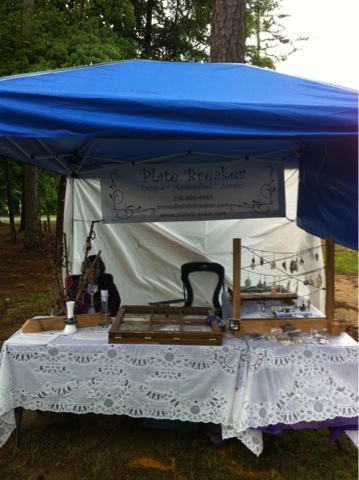 Be sure to visit Plate Breaker Jewelry at the annual Harvest Festival in downtown Boaz, Alabama. on October 4-5. Thanks for a great, albeit rainy, day at Boom Days in Fort Payne today. We enjoyed having everyone to stop by. 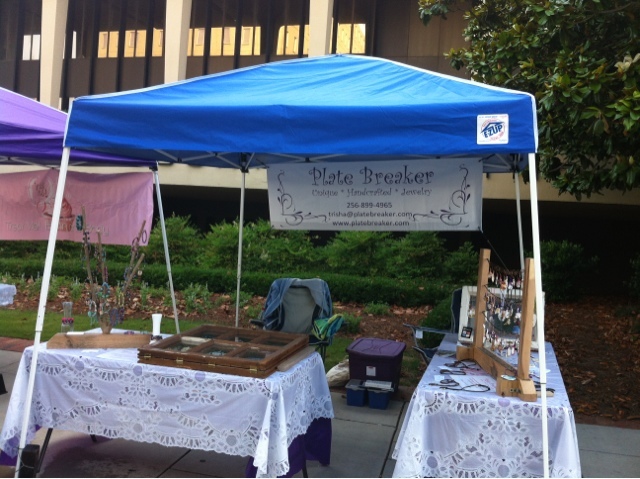 Be sure to come out to Boom Days in downtown Fort Payne Saturday and look for Plate Breaker Jewelry. You'll see all the classic broken plate designs and a few new, whimsical designs using Dominos and Scrabble tiles. 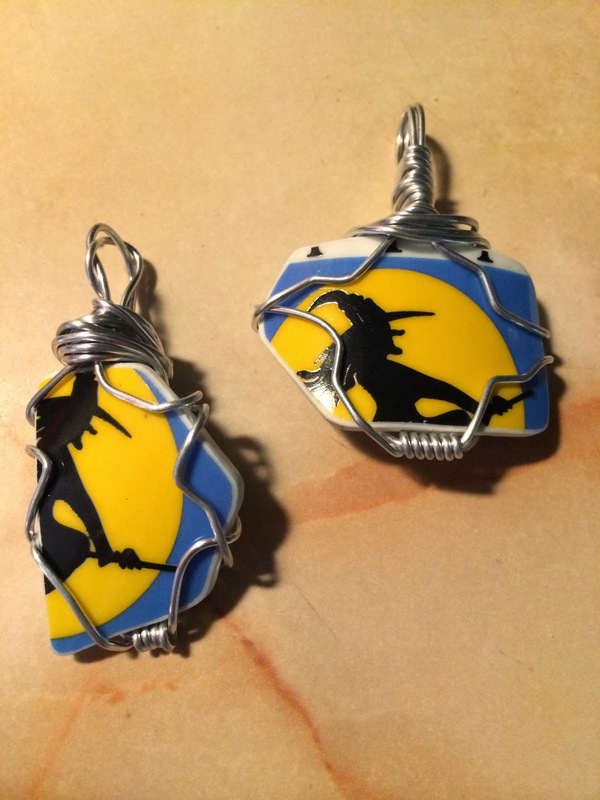 Trisha has been making some new pendants with double wrapped wire. 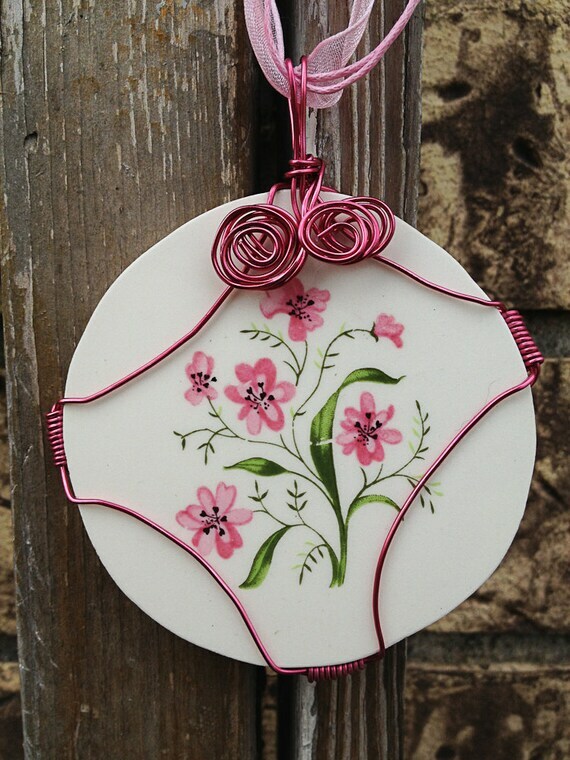 Check out this example of how this looks on this a nice floral pattern with a hummingbird charm. Look for this new design and more at Boom Days in Fort Payne Alabama on Saturday, September 21. 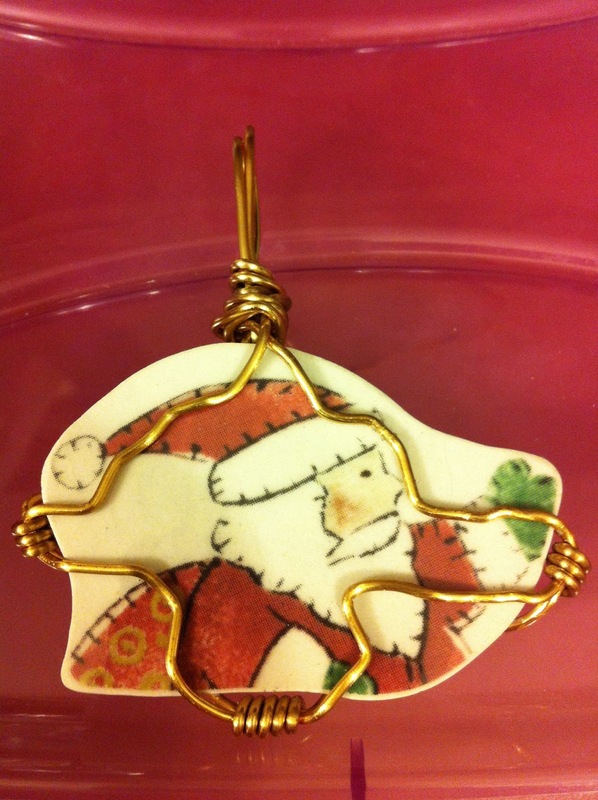 Here is a sneak preview of one of Trisha's first Christmas designs. Look for more Christmas designs to come. 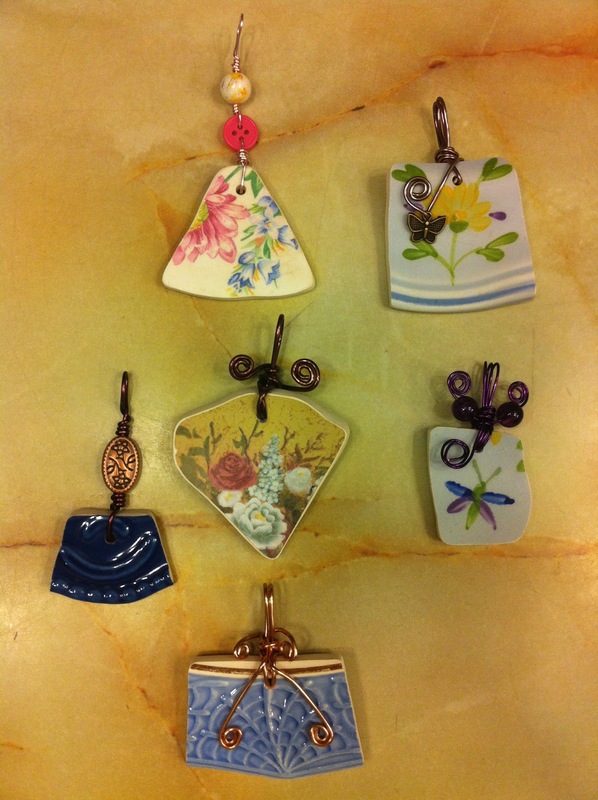 Check out some of the new pendants that Trisha has made with Scrabble tiles. These fun designs will sell for only $10-15 each, and are perfect gifts. Looking for a specific letter? Just let Trisha know. She can make and ship one to you! Need a Great Bridesmaid Gift? 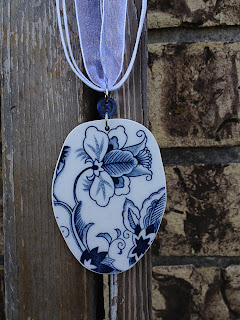 matching necklaces made from a piece of your china? Just purchase an extra piece and consult us to plan your design. What a great, unique bridesmaid gift! The next show on Plate Breaker's schedule is Boom Days in Fort Payne, which takes place on Saturday, September 21. Be sure to plan to spend the day in Fort Payne that day and enjoy loads of fun. Be sure to check out the Boom Days Facebook site also. New Items in the Etsy Store! After a time with nothing in the Etsy store, we have built up inventory to the point that we are now able to replenish the store. Expect to see a few items added each day until it is fully stocked. We apologize for the inconvenience of having nothing online for sale for the past few weeks. It has been a busy and good August. For that reason, we currently have no items in the Etsy store. Once we get through Art in the Park in Scottsboro on Sunday we will try to build up additional inventory so that we can list more items in Etsy. We do have a good inventory at The Graceful Giraffe and will have a good selection for Art in the Park on Sunday. If you will be in the area, please stop by to visit. 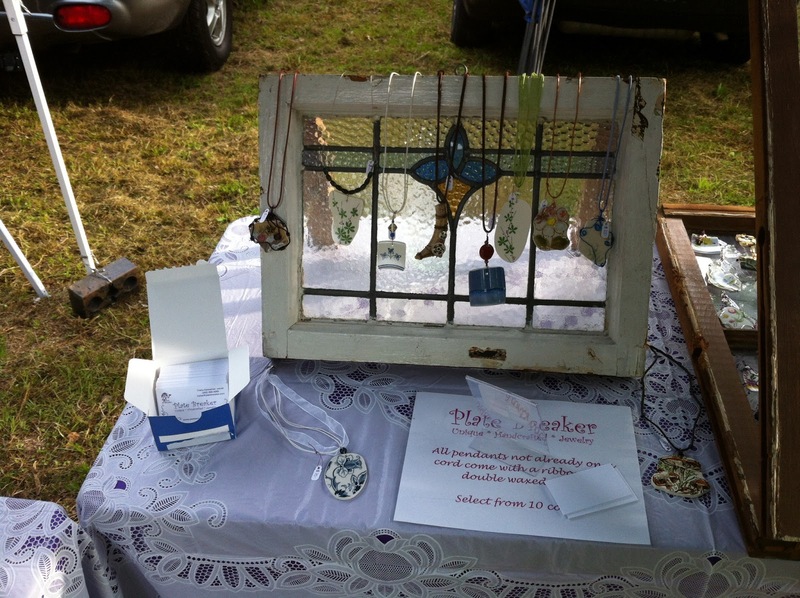 Plate Breaker Jewelry will be at Art in the Park in Scottsboro, Alabama on Sunday, September 1. Look for additional shows to be added in the coming days. Do you know of a show that we should attend? Let us know by emailing trisha@platebreaker.com. 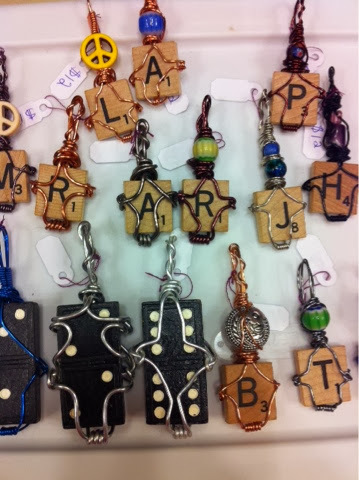 Plate Breaker Jewelry will be displaying at the Music on the Mountain Festival at Northeast Alabama Community College on Saturday, August 10. Be sure to come out to the Tom Bevill Lyceum to see new designs like this one. 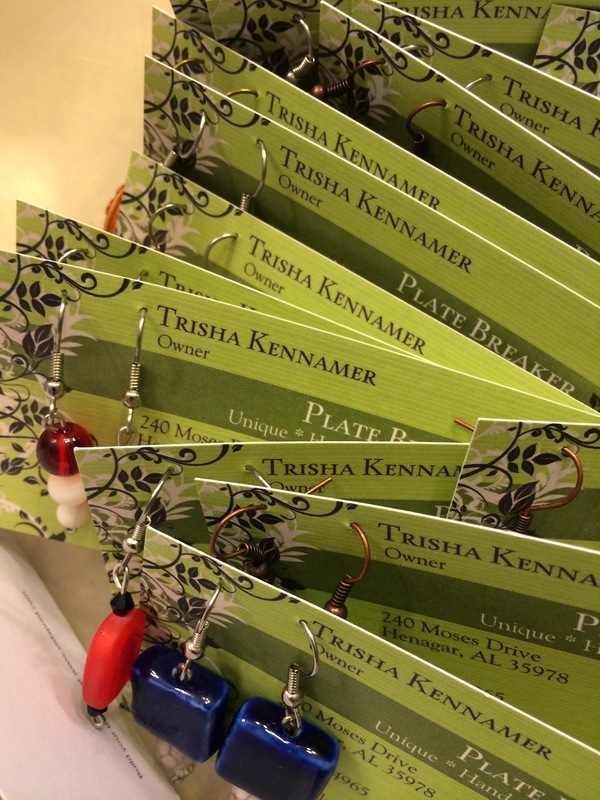 On Thursday, Trisha will be a vendor at the Northeast Alabama Human Resources and Manufacturing Conference, to be held in the Health Education Building. On Saturday, she will be a vendor at Music on the Mountain, to be held in the Tom Bevill Lyceum on the Northeast Alabama Community College campus. Exhibits and jam session starts at 2:00 pm and the event begins at 4:00 pm. Come out to Northeast to enjoy some good bluegrass music and visit with Trisha. 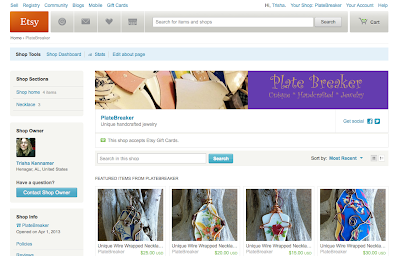 Plate Breaker Jewelry now has a business page on Facebook. 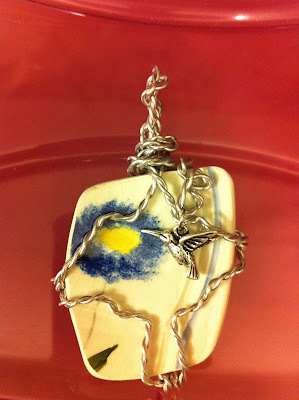 Check it out at http://www.facebook.com/platebreakerjewelry, and be sure to "like" our page. Our next show is the Northeast Alabama Human Resources and Manufacturing Conference in the Health Education Building at Northeast Alabama Community College on Thursday, August 8. We will also be at Northeast Alabama Community College Saturday for the Music on the Mountain Festival. 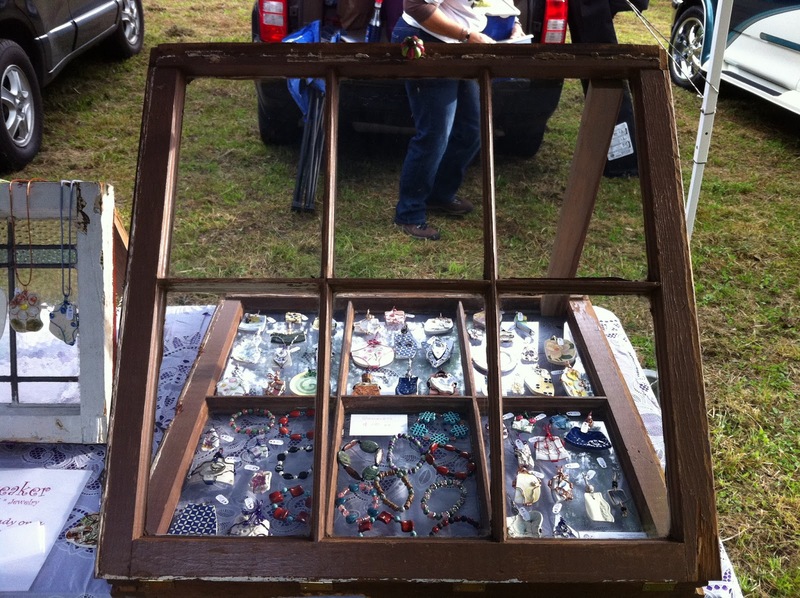 If you are in Mentone Alabama today for the World's Longest Yard Sale be sure to drop by to say hello. We are located at the white house next door to (and east of) the Post Office, just in front of the cottage. 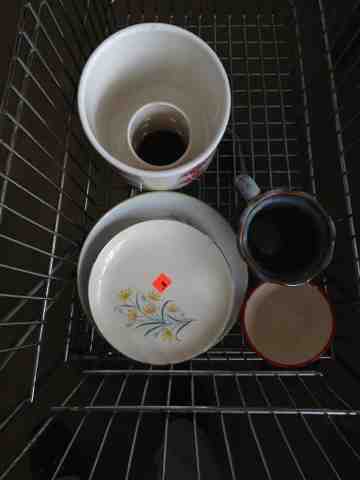 We are gearing up for the World's Longest Yard Sale. 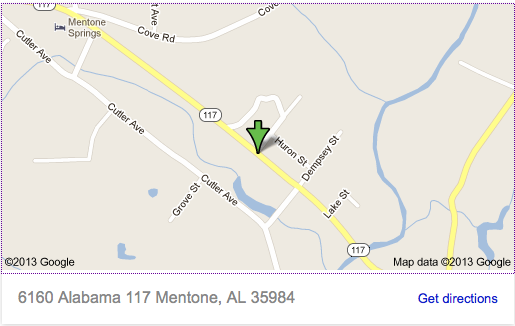 We will be located at the house next to the Post Office in Mentone, Alabama beginning on Wednesday. Be sure to check out the Upcoming Shows page on the site as new shows have been added. 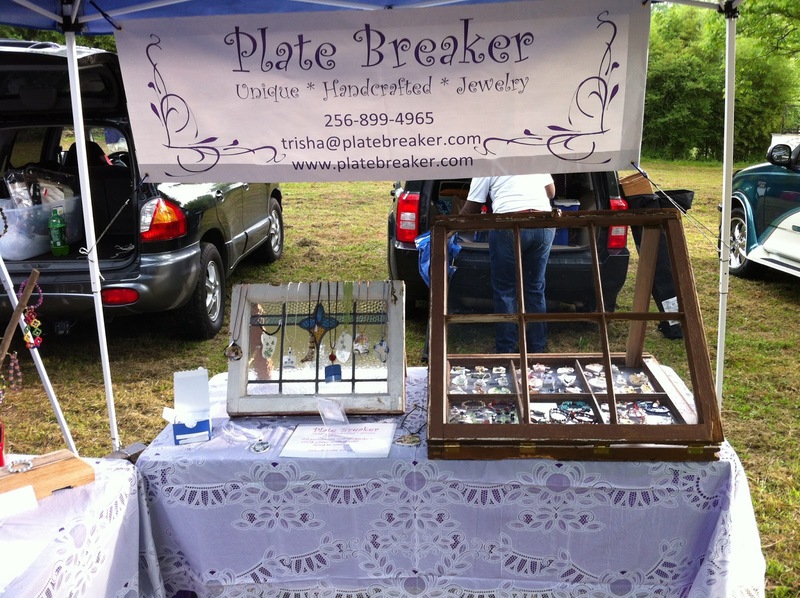 Look for Plate Breaker Jewelry at Mentone, Alabama during the World's Longest Yard Sale (August 1-4). We will be set up at the house next to the post office. This is always a good spot with excellent vendors, so be sure to park nearby and visit all the vendors. On September 1, we will be at Art in the Park in Scottsboro, Alabama and on September 21, we will be at Boom Days in downtown Fort Payne, Alabama. On October 4-5 we will be at the Boaz Harvest Festival in Boaz, Alabama. Look for more shows to be added soon. 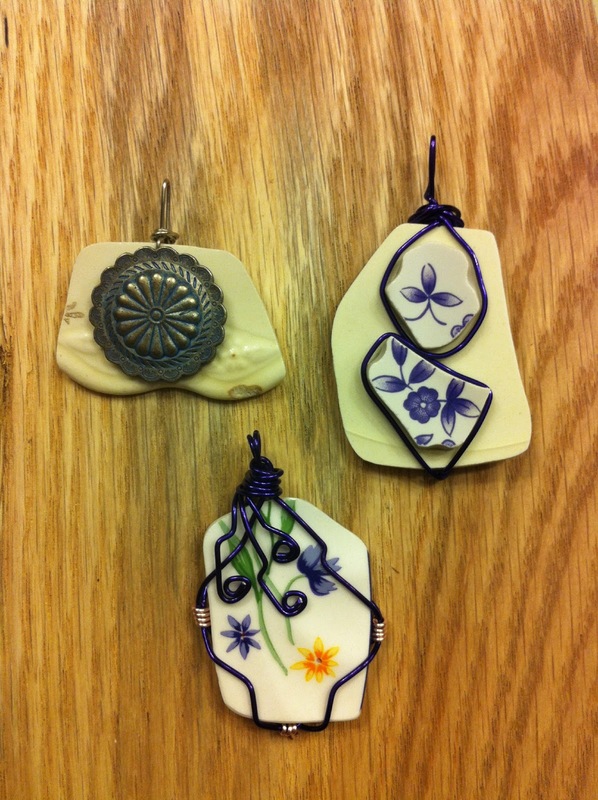 Here are a couple of new pieces by Trisha. Yes, she is now making rings! 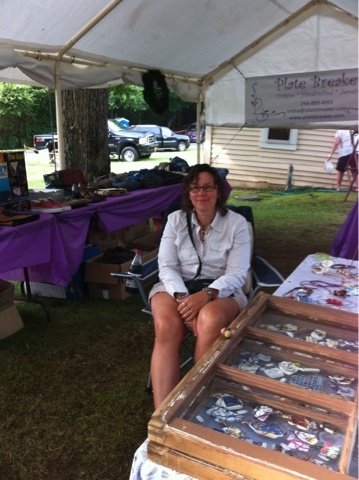 Platebreaker Jewelry is at the Sand Mountain Potato Festival in Henagar Alabama today. It's cool and a little damp, but the festivities are going strong. Feel free to stop by and say hello. Don't forget to visit us at the Sand Mountain Potato Festival in Henagar on Thursday. There are lots of new items ready to purchase. We are participating in the Baby Dinosaur Marketplace in Huntsville, Alabama today. The Baby Dinosaur Project is part of the Huntsville Hospital Foundation and benefits families who have lost children at a young age. You can find us on the west side of the courthouse square. Drop by to say hello. some plates to break. Oh, and there happens to be a bead store in this town. Look for some new designs coming soon! It's official! Plate Breaker Jewelry is now sold at The Graceful Giraffe, located on Alabama Highway 117 in Mentone. 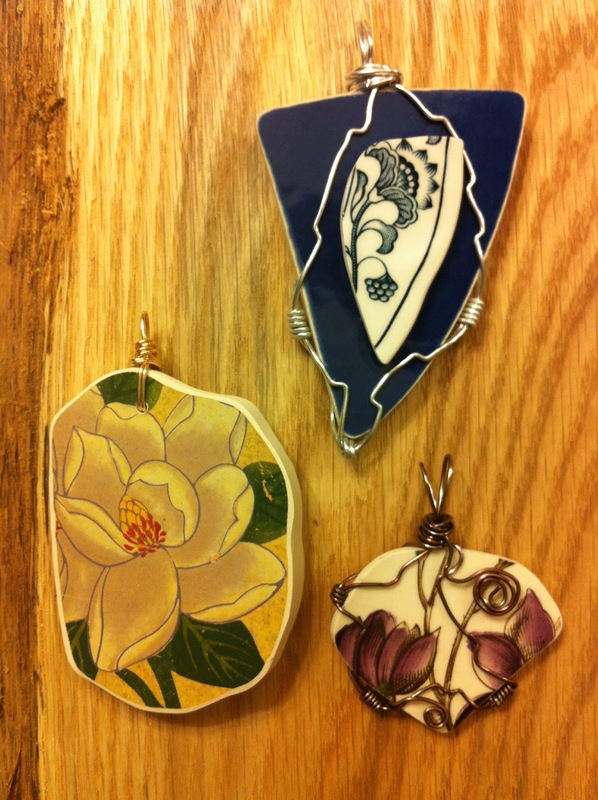 Be sure to visit during the Rhododendron Festival to purchase Plate Breaker Jewelry at our first authorized dealer. We are pleased to announce that Plate Breaker Jewelry is now available at The Graceful Giraffe, located in Mentone, Alabama. 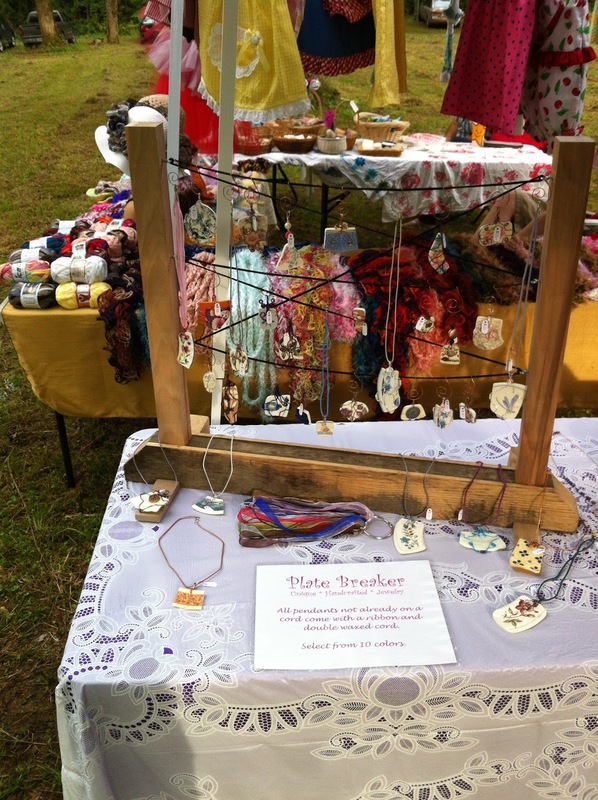 There you will find a display containing bracelets and necklaces by Plate Breaker Jewelry. The Graceful Giraffe is located at 6160 Alabama Highway 117 in Mentone and specializes in globally and locally handcrafted items including jewelry, ceramics, and more. Click here to link to Google Maps. Be sure to drop by to visit Rick and Debra Fey the next time you are in Mentone. Here, Trisha is caught wearing original Plate Breaker bracelets. 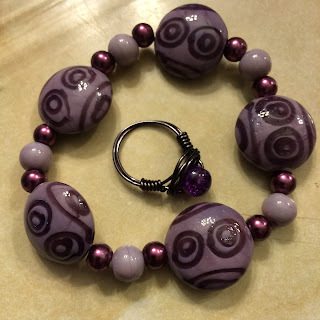 Want to show off your Plate Breaker Jewelry? 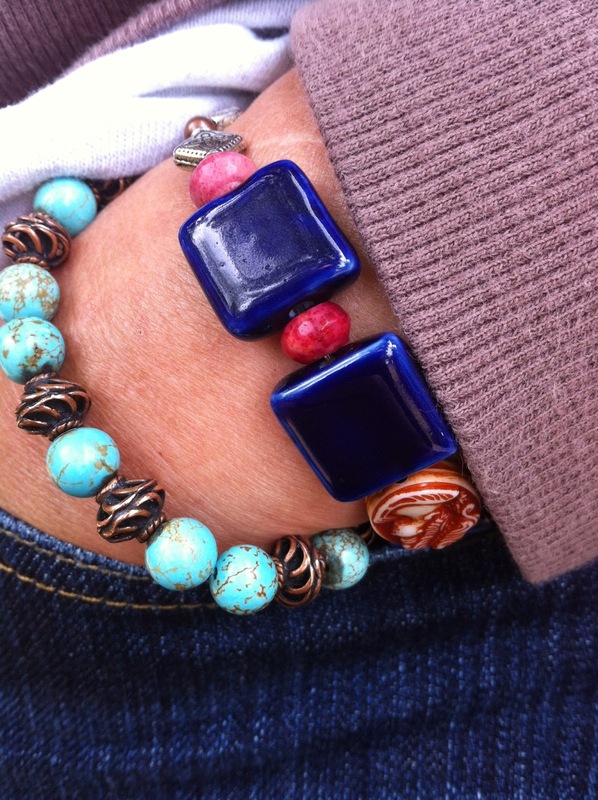 Just send a snapshot of you wearing Plate Breaker and we will post it on the website. Email it to Mike. New business cards have arrived! Here's a quick snapshot of one. on the right side of the website. While most of the companies who display this logo are manufacturers, we proudly display the logo indicating that our goods are made in DeKalb County, Alabama. 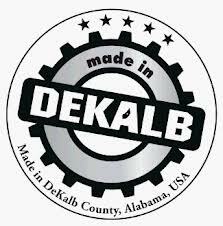 In these days in which so much manufacturing has moved overseas, we are pleased to support the Made in DeKalb initiative and celebrate the items that are made in this county. Here are some photos of our booth at the Verbena Trade Day in Verbena, Alabama on May 11. Our next show is the Baby Dinosaur Marketplace on June 8 from 9 am - 5 pm on the Courthouse Square in Huntsville, Alabama. Check this site often for more news about where to find Plate Breaker Jewelry. Our tent/booth all set up and ready to go! A closer view of the back table. Our upcycled window display case. 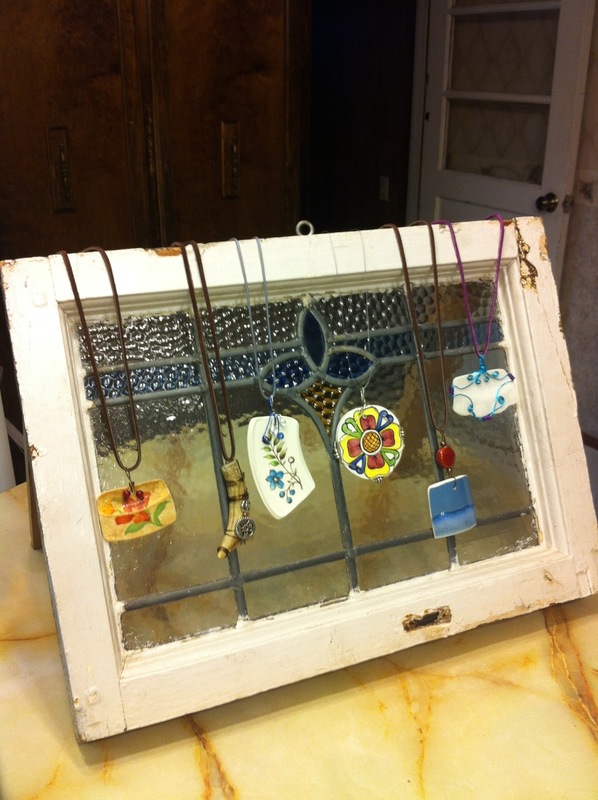 Stained glass window necklace display. More Cool Pieces Coming Soon! After a brief hiatus, new pieces are being created every day in preparation for upcoming shows. 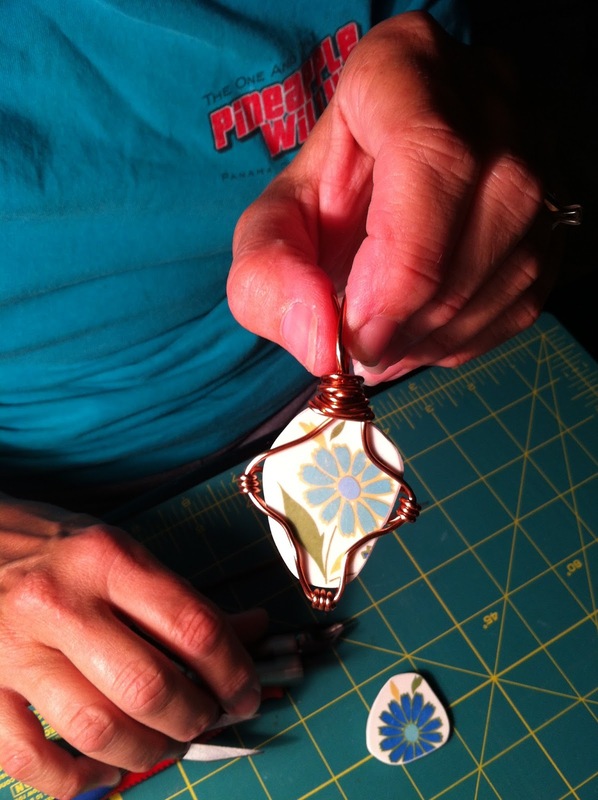 Here, Trisha is smoothing the edges of a piece with a grinder. Let Trisha know if there are other shows that we should attend. 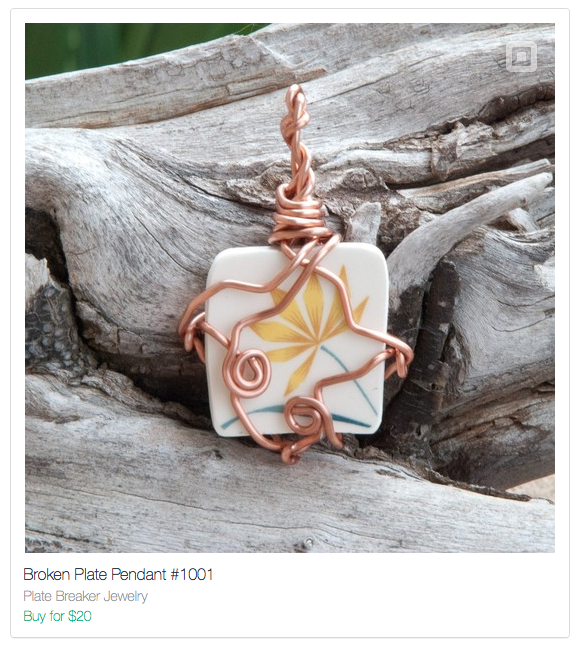 By its very nature, every piece made by Trisha at Plate Breaker Jewelry is unique. Only a few of her designs are posted in the Etsy Store, but new designs are created each week. The best way to see what is available is to visit one of the shows at which she exhibits. More shows will be added very soon. In the meanwhile, contact Trisha if you see one you'd like to purchase. 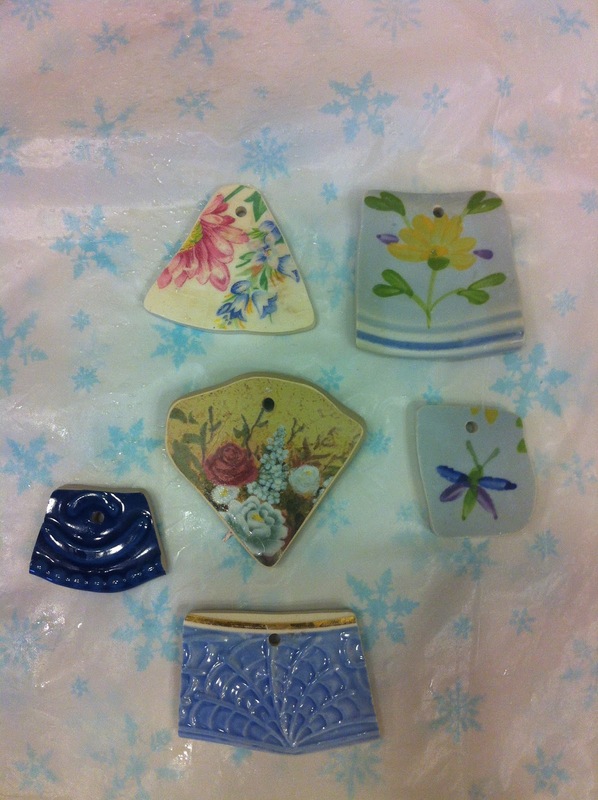 This photo shows some of the plate pieces that she is working on this week. Due to expected rain, Verbena Trade Day has been rescheduled for Saturday, May 11. We look forward to seeing you there! Most of us see these shards of broken plates as just that...But in the eyes of the artist, these are beautiful pieces of jewelry. Want to see them transform into works of art? Keep an eye on this site and our Etsy store to see what they turn into. These discarded items will soon be turned into a wearable piece of art. You may call it recycling, being environmentally friendly, being green, or even upcycling, but your friends will call it stylish and unique. Check out our Etsy Store or contact the artist to learn more. The days are counting down for Verbena Trade Day on Saturday. Be sure to join us if you are in the area. 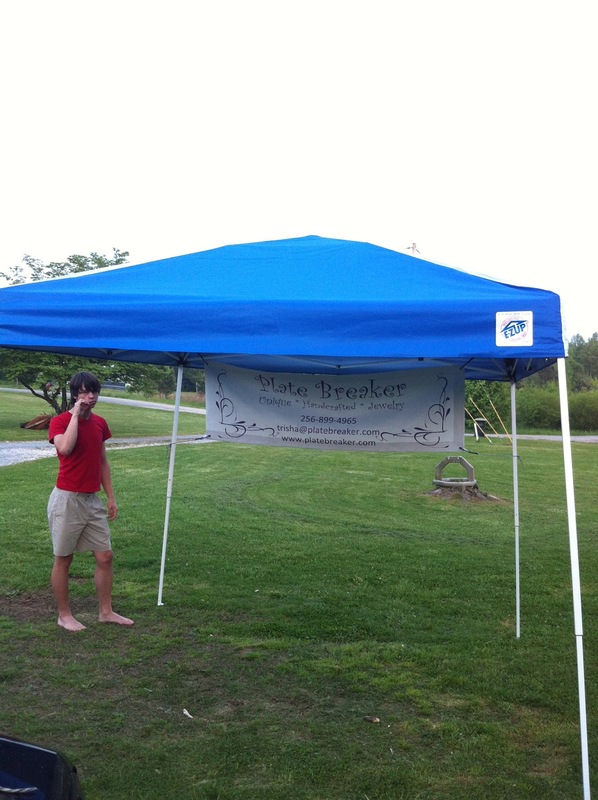 We are getting the tent and displays ready! 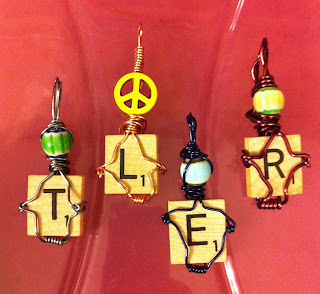 Plate Breaker Jewelry has a line of jewelry especially designed for little girls. 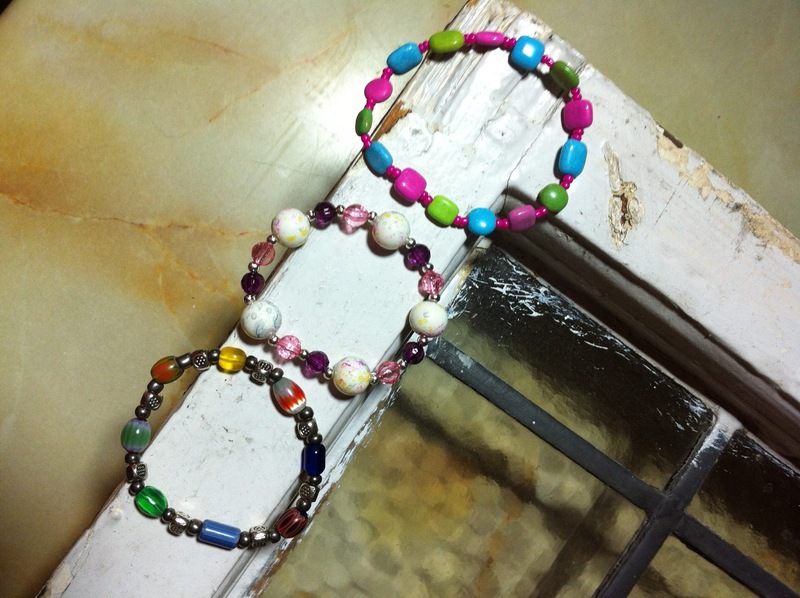 Here are samples of some of the bracelets we have available. Looking forward to seeing you in Verbena this weekend. 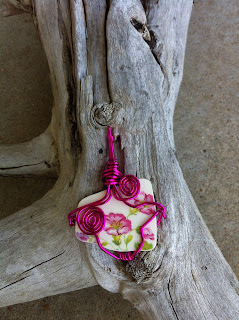 Here is a photo of some of the new necklaces that are available. Check out the store on Etsy to see what we have online. 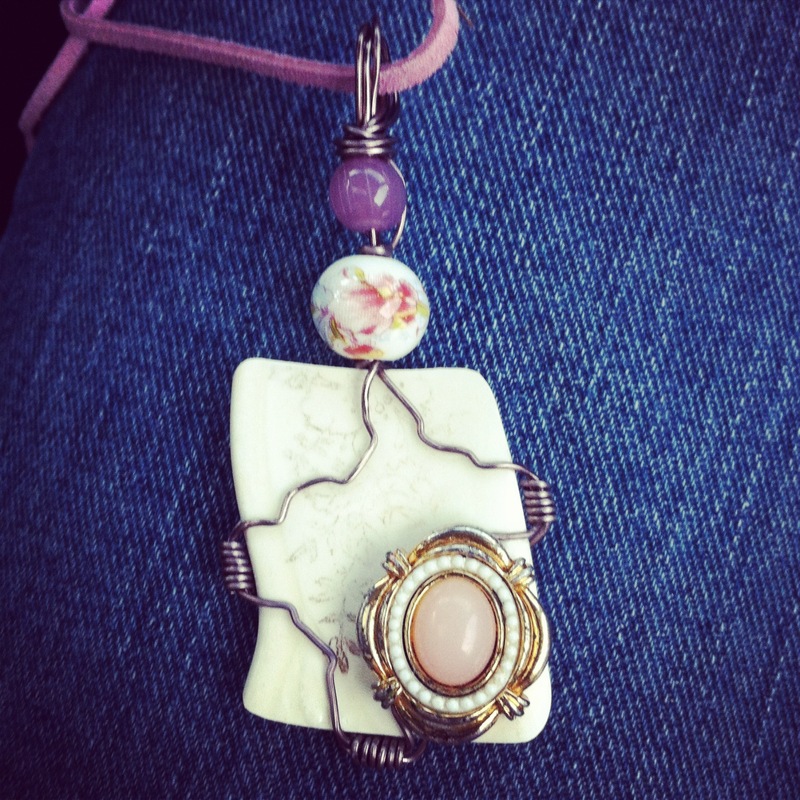 Email Trisha if you are interested in purchasing one of these pieces. And visit us at Verbena Trade Day on May 4. 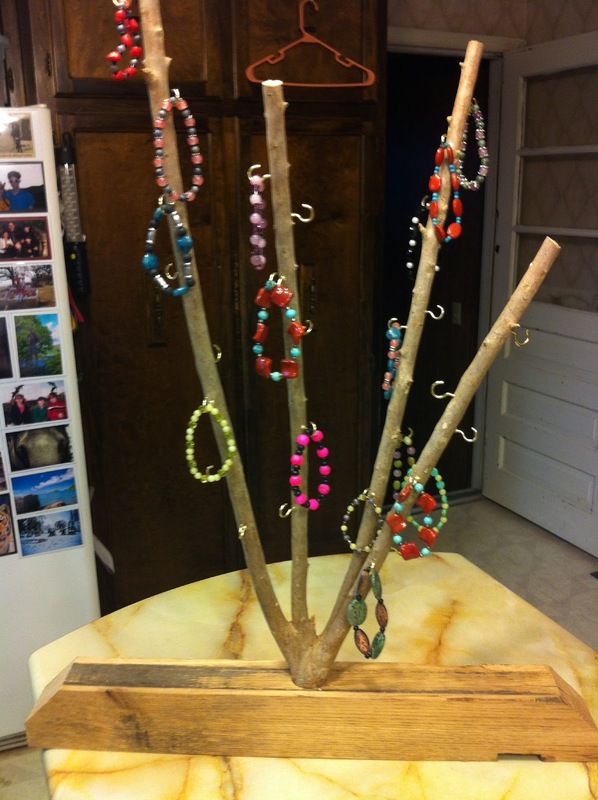 Spring is here and this bracelet tree is starting to fill out. 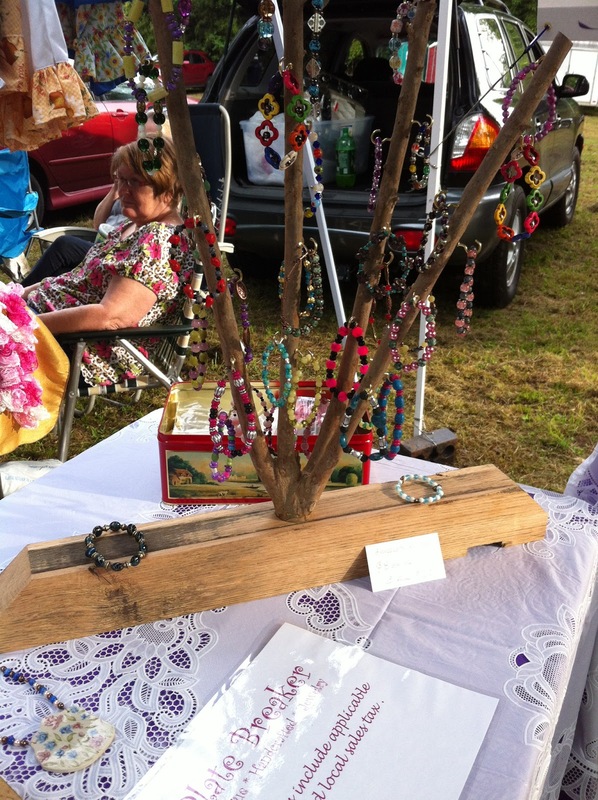 Visit us at a show near you and pick a few bracelets from the tree! Our next show is Verbena Trade Day on May 4.
that had sentimental value. 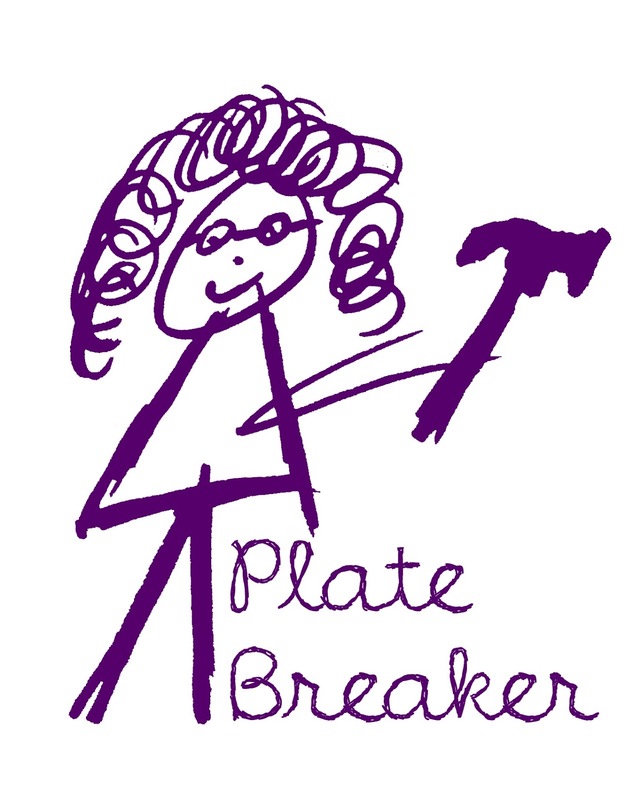 Let Plate Breaker make a custom piece for you. Contact Trisha for details. 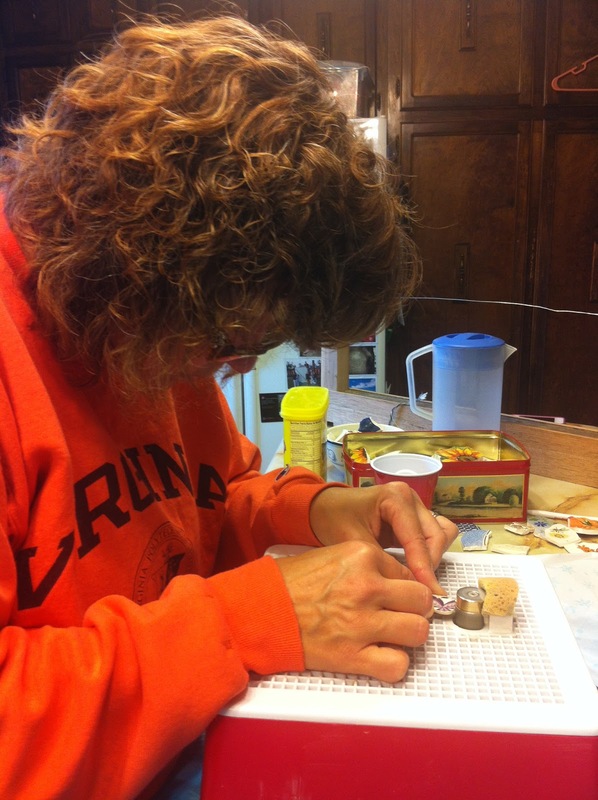 Trisha is hard at work creating new pieces in preparation for the upcoming Verbena Trade Day. See one you'd like to purchase in advance of the show? Let Trisha know. Know of a craft show or trade day at which Plate Breaker should display? Let Trisha know. If you are anywhere near Verbena, Alabama on Saturday, May 4 Verbena Trade Day. Sponsored by Verbena Band Boosters, Verbena Trade Day is an annual event. be sure to drop by Magnolia Park to visit. I will be selling my custom, handcrafted jewelry made from broken dishes. For examples of a few of the items you might see, check out my Etsy Store. We will have many more pieces for sale on May 4. Don't see what you want? BYOP--Bring Your Own Plate. 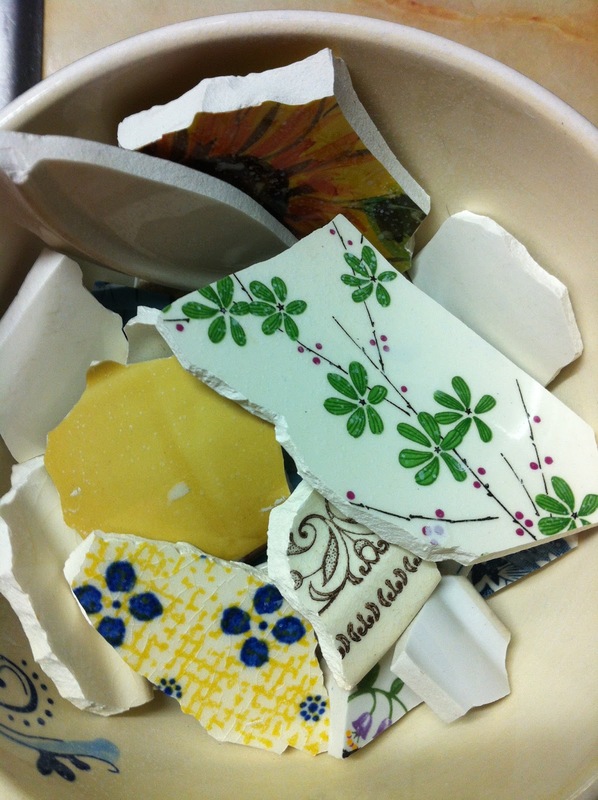 I can make a one-of-a-kind treasure from your broken china. The inventory in the Etsy store is growing daily. Be sure to check in frequently to view the new designs. It's Official! 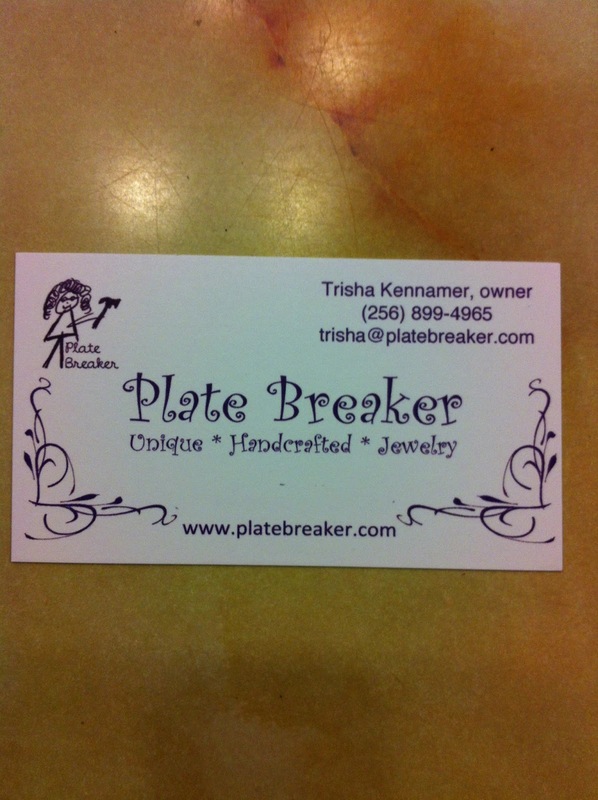 Plate Breaker Jewelry is Now Open! I am happy to announce the opening of Plate Breaker Jewelry. Be sure to visit my Etsy shop. Copyright 2013 Plate Breaker. Ethereal theme. Powered by Blogger.